The Lockheed Ventura was one of a handful of aircraft used by the Allies that evolved out of a civilian plane, the Lockheed Model 18 Lodestar. And so far as I know, it was the only civil aircraft redesigned to be employed in an offensive capacity. The Piper Cub saw use as a spotter plane, the Beechcraft Staggerwing as VIP transport, and the DC-3, redesignated the C-47 Skytrain, famously ferried U.S. airborne divisions into Normandy on D-Day. But the Ventura flew at things and shot at and dropped bombs on them. Originally purchased by pretty much everyone, including RAF and Commonwealth forces and the USAAF (as the B-34), the Ventura was shifted to the Navy and Marines in an inter-service agreement that saw the Navy supplied with patrol bombers while giving the USAAF room to develop the B-29 Superfortress. The navalized PV-1, equipped with search radar and increased fuel capacity, served as a patrol bomber, hunting Japanese shipping and bombing land targets. Despite its success in the role, the PV-1, like the other patrol bombers (with the exception of the PBY Catalina) remains far more obscure than the bombers that served with the USAAF. This one is definitely a journey kit. I have no great love for the Ventura, and among the patrol bombers I’m actually far more a sucker for the navalized B-25, the PBJ-1. But…it’s a new-mold kit from Revell, and looks like it will be a fantastic build. Initial test fits impressed me beyond my already high expectations. 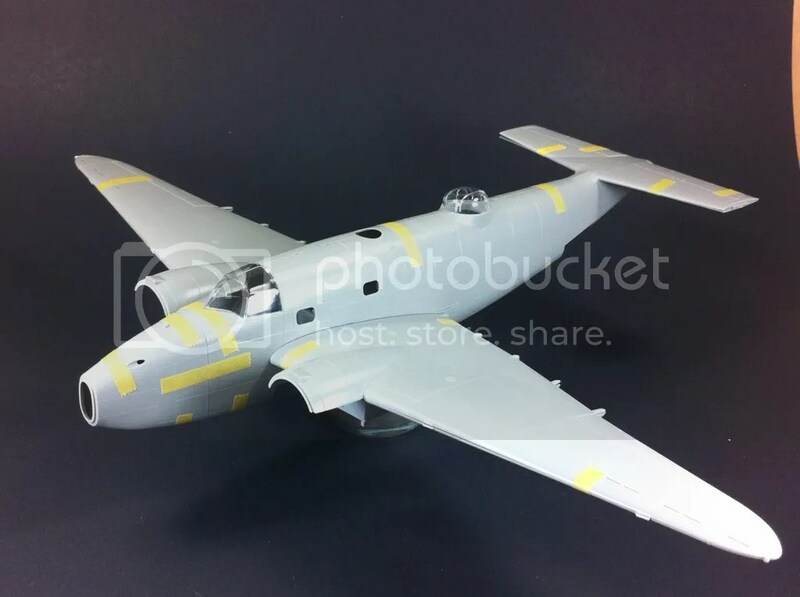 The fuselage comes together with the precision you’d expect from a modern Tamiya kit. The rear stabilizer grabs onto the fuselage so well it won’t need to be glued, and the twin tails grab the stabilizer well enough that they stay in place rather than flop and fall off. The clear parts fit exactly, and the wings, oh the wings! Every so often I’ll see someone build a kit, paint it, THEN attach the wings. This never fails to blow my mind, since I always need at least some putty somewhere. 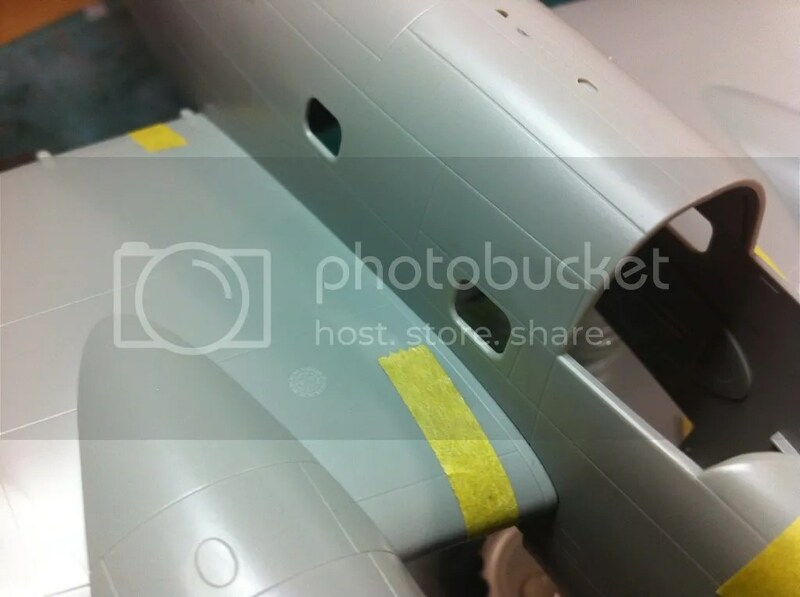 But the way these wings attach…to a spar and slightly into the fuselage – I’ll be able to paint them on their own and attach them after the fact, which will make masking, getting on the inside of the engine booms, all of it, much easier! That said, there are a few areas I’m less than thrilled about. The guns could be better detailed, and I’ll be replacing at least some of them with aftermarket. The props are far too narrow and will definitely be replaced. The tires could be better. And after my experience with Revell’s P-47 Razorback, I’ve sprung for the Zotz PV-1 decal sheet. Stay tuned. This one should be fun! Got to have one too. according to the pics you post here its looks damn nice. Off topic, Doog, I hear you like Jugs.